Bing cherry trees are among the most common sweet cherries. They produce dark-skinned fruits in good quantities. 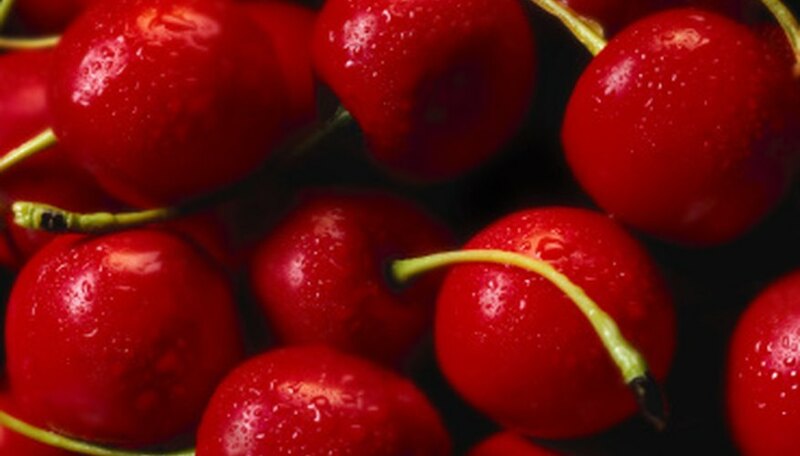 Bing cherries are eaten fresh off the tree or used in cooking. In order to produce a crop of cherries, the bing cherry tree needs pollen from another variety cherry tree. Choosing the right pollinator makes all the difference in your cherry crop. Sweet cherry trees like the bing are considered self-sterile. They are unable to pollinate with their own kind and require pollen from a cherry tree of a different variety. One of the key features in choosing a pollinator tree for your bing cherry tree is the timing of the blossoms. Both varieties must bloom at the same time in order for the pollen to be available for the Bing cherry tree’s flowers. Several varieties work well as pollinators for bing cherry trees. Washington State University’s extension service recommends Black Tartarian or Republican, Stella, Van or even a sour cherry such as Mortmormency. The University of California at Davis also recommends Van or Black Tartarian in addition to Sam.